State line Road to Lakeview Drive to Right on Alpine, Left on Tuppence Trail, house on the left. Tennessee Mountain Stone Work, spacious rooms & over 2790 sf. of finished living space! 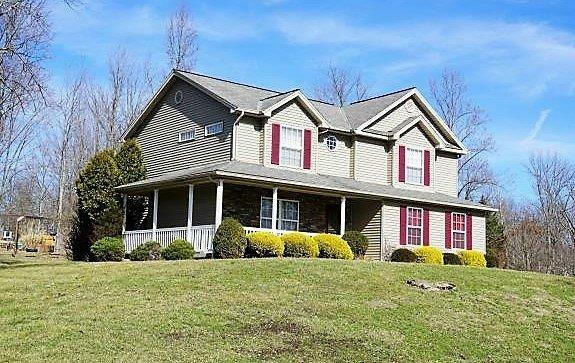 2 story home w/covered front porch & deck on over-sized single lot. 3 BR/2 full & 2 half BAs. Finished walkout LL offers plenty of space for addtl entertaining. MBR offers Garden tub & walk in closet. 2nd flr laundry is a bonus!